Here’s my week in food, yours to peruse for some Monday inspiration. Poor pickings this weeks, I’m ashamed to say. I’m in full dissertation mode, so healthy eating is really slipping down the ranks of my priorities. Never mind eh. 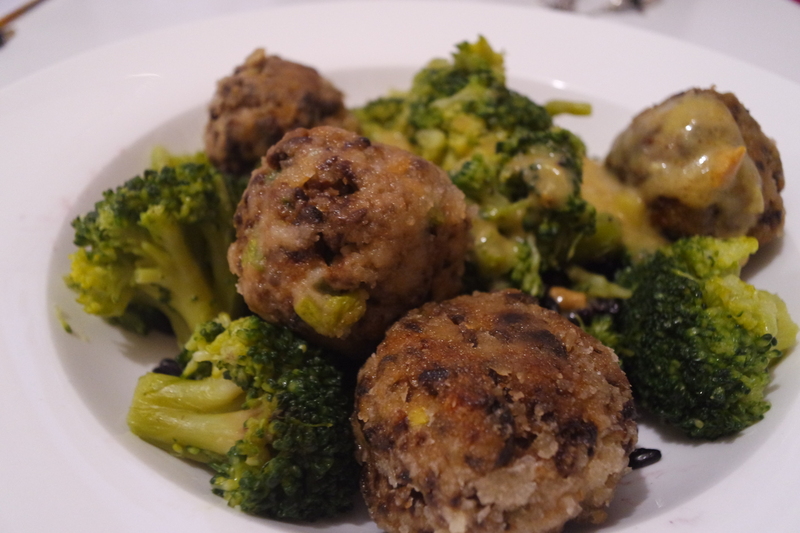 First up, we made quorn meatballs this week. It’s safe to say quorn mince is my current obsession. These are super simple to make too: bit of quorn mince, breadcrumbs, a couple of spring onions, a little flour and lemon zest. Very very nice. They went down very well with some broccoli and a lovely curried sauce. They went equally well with shirataki noodles and pumpkin seed pesto, two of my staples. 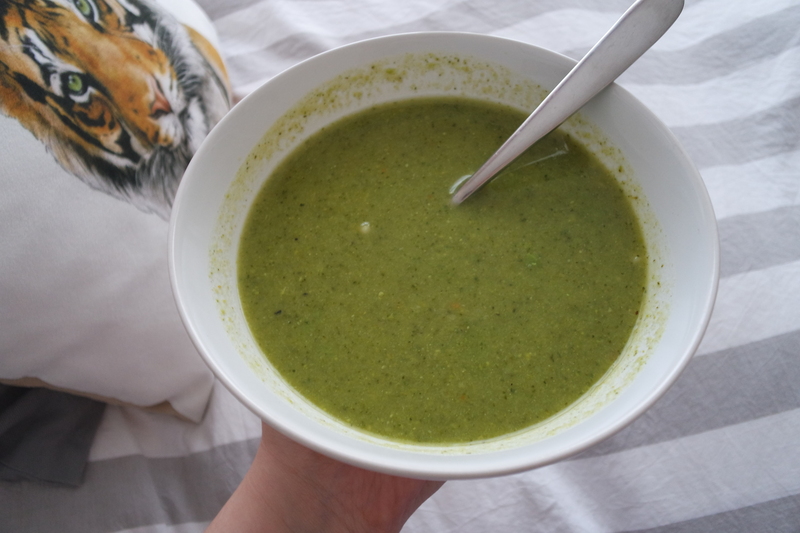 When you’re feeling like your eating habits are spiralling out of control, there is nothing better than a nice green bowl of vegetable soup. 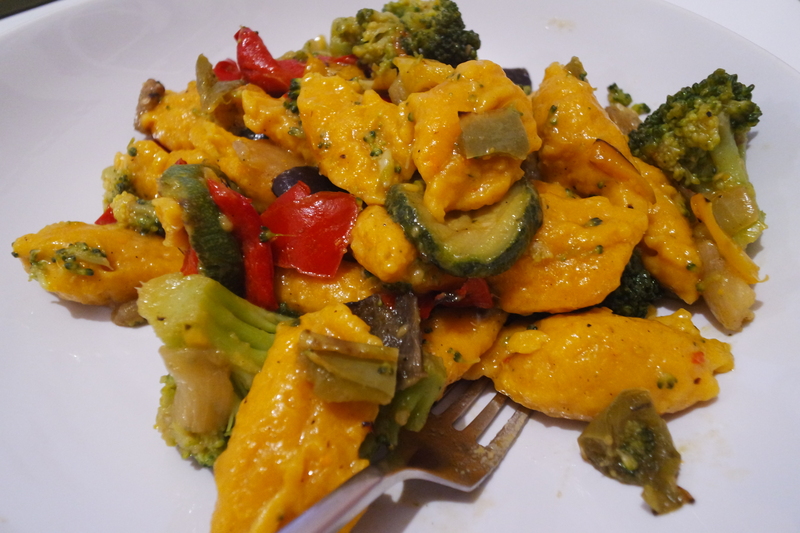 Or, get your veggie intake from some yummy sweet potato gnocchi, med veg and broccoli. And then take a picture in better lighting. Sundays are better when washed down with roast dinner. Bear with me on this one, I know it looks pretty gross. It is actually peach curd on toast and it is delicious. It looks very scrambled egg-like, but believe it or not, this was actually kind of deliberate. My favourite thing on earth is lumpy custard, and I like to tell myself that this is a healthier version of that: egg, peaches and a little bit of cornflour, what could be healthier! !